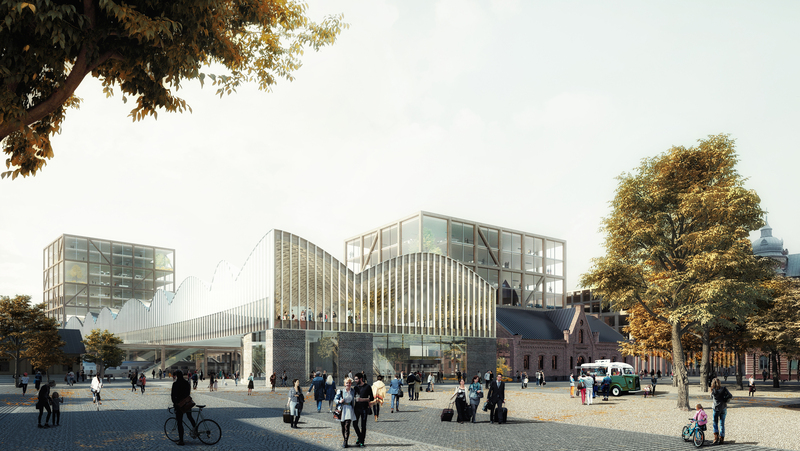 The New Central Station of Lund will become a node with commerce, services and offices. A new meeting place in Lund, enriching the city with its characteristic silhouette. 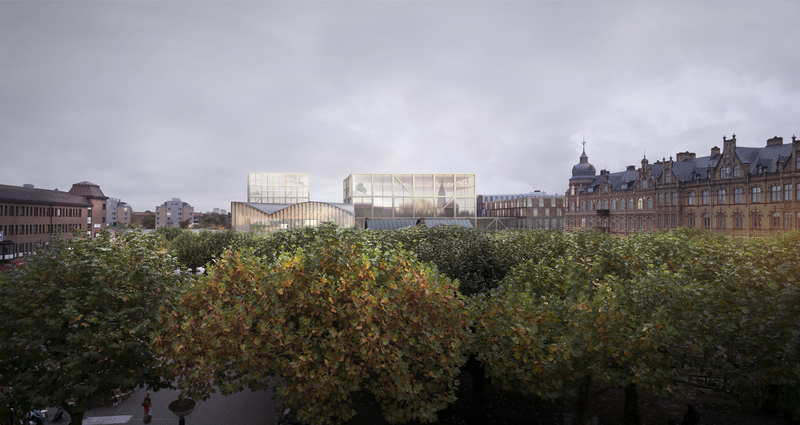 The winning proposal comes from Elding Oscarson and C.F. Møller. 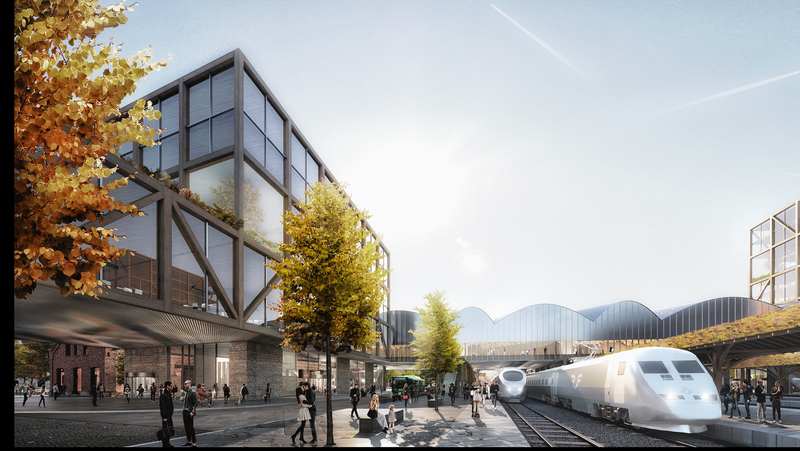 - With its central location, Lund's new central station has the potential to develop into the city's best meeting place. The architects have focused significantly on travelers' needs as well as the public area to make the station open and accessible to all with attractive services, says Andreas Meyer, business developer at Jernhusen. - We have had a very successful collaboration with Elding Oscarson and are as a team looking forward to further develop our proposal in close dialogue with Jernhusen, Trafikverket and the municipality of Lund, in order to have the new station in place as soon as possible, says Danyal Taylan, Architect in Charge at C.F. Møller Architects. 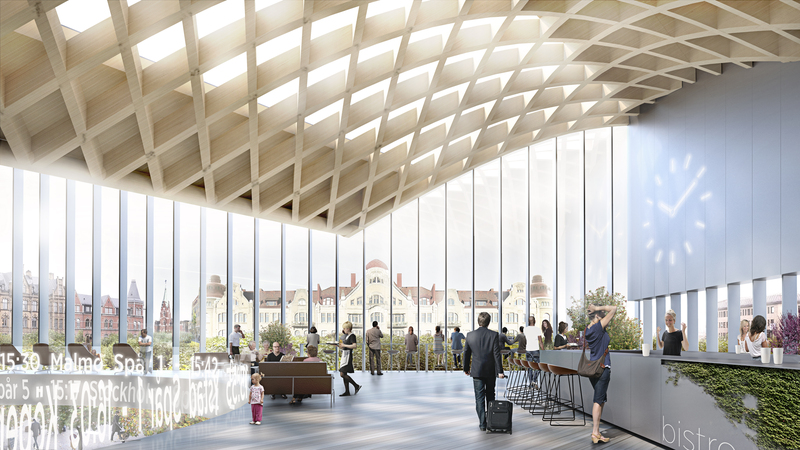 The new station spans across the tracks and adds a valuable new connection to the city, as its vaulted ceiling structure in wood forms a large indoor plaza binding together Lund’s East and West. Opening to each side with entrances, the Station redefines the surrounding city spaces. The square on the East side benefits as the new building frames it, and to the West a new space is formed by the station cantilevering above the park with a public programme. 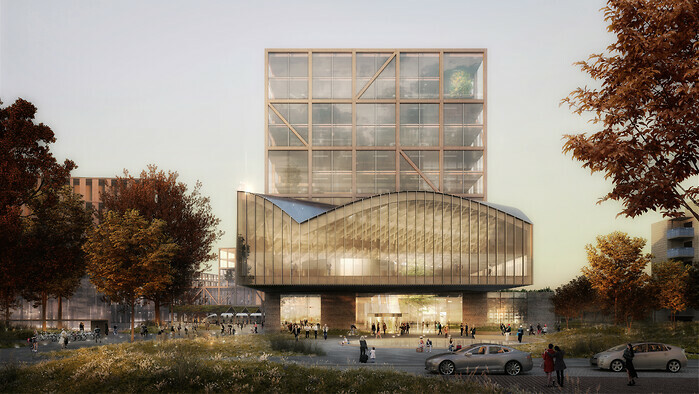 - With a resolute approach, the proposal generates an iconic station building, healing the city fabric once parted by the railroad, by bridging the tracks with a large indoor plaza, says Jonas Elding, Partner in Charge at Elding Oscarson Arkitekter. The winning team of C.F. Møller Architects and Elding Oscarson was selected from an initial shortlist of 21 design offices, of which four where invited to present design proposals: C.F.Møller Architects & Elding Oscarson; 3XN; Henning Larsen Architects and Belatchew Arkitekter. 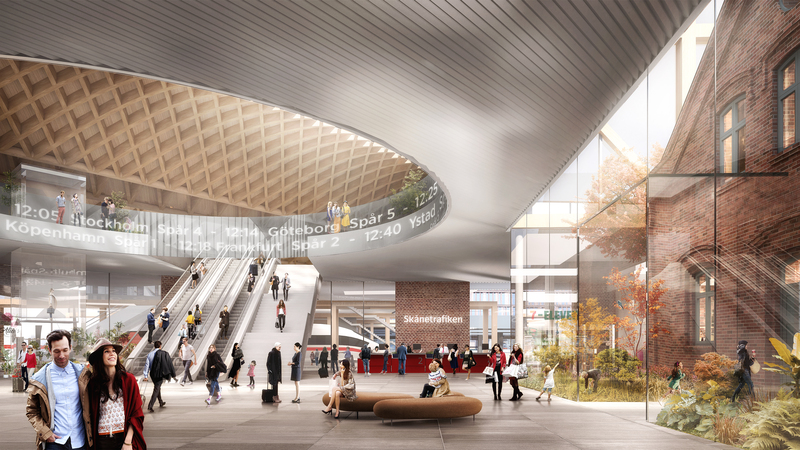 The winning design has been selected by a jury with representatives from Jernhusen (the Swedish Rail Property Agency), Lund Municipality, Skånetrafikken and the Skåne Region.